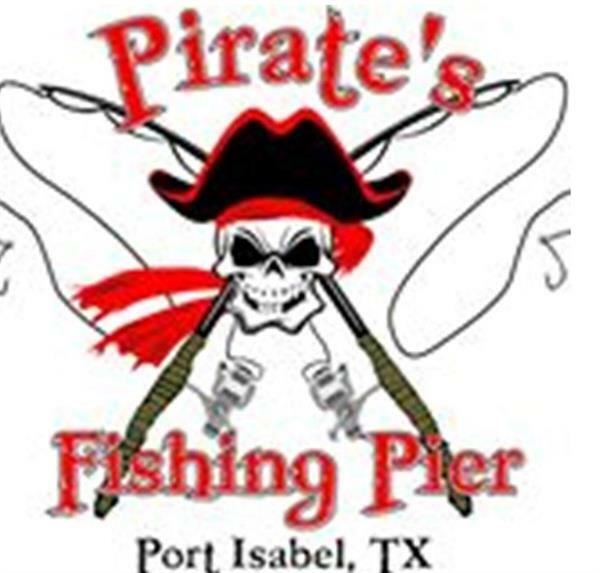 Pirate’s Landing Fishing Pier in Port Isabel, TX is located perfectly at the entrance to the Queen Isabella Causeway that leads to South Padre Island. 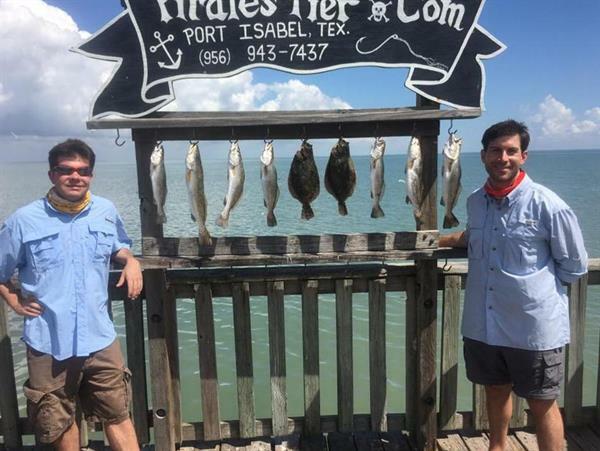 You can’t miss us… just go to the Lighthouse in Port Isabel. 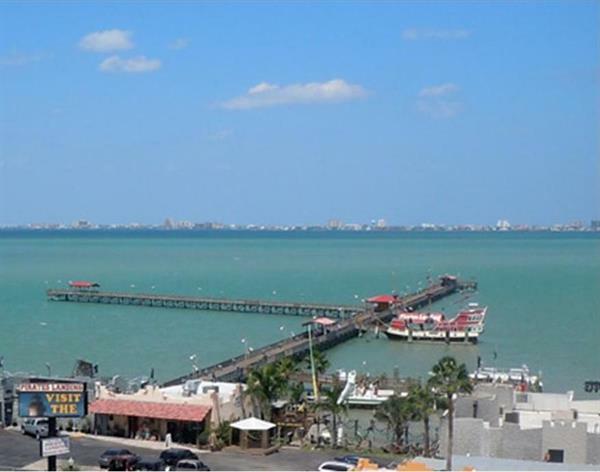 Pirate’s Pier is the longest pier in Texas. We take pride in keeping our grounds and facilities in immaculate condition. We have everything you need for a great fishing experience. 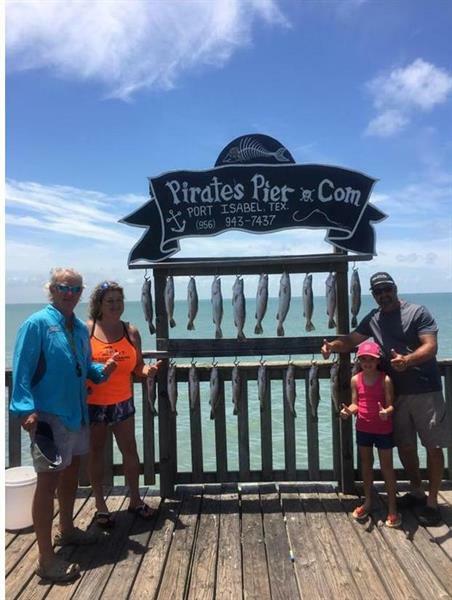 You will find a complete tackle and bait shop, snack bar, clean restrooms, plenty of secure paved parking and a first class restaurant all in one place! Here on vacation and didn’t bring any fishing equipment? We have rental poles, tackle and all types on baits including mullet, live and frozen shrimp, shiners, Ribbon Fish, squid and more. Our snack bar has ice, cold drinks, beer, wine, sandwiches, in addition to our full service restaurant. Pirate’s Pier has other attractions too! We are home to Isabella Excursions and Black Dragon Cruises and located next to the historic lighthouse. There are 3 great museums within walking distance, a sea life center and shopping. WE have one great location… come enjoy it! Fishing pier hours are seasonal for winter Sun-Thur 7 am midnight weather permitting. 24 hours Friday & Saturday. April 1- October 1 - 24 hours weather permitting.